Zaspa is one of the largest "plattenbau" settlements in Poland. 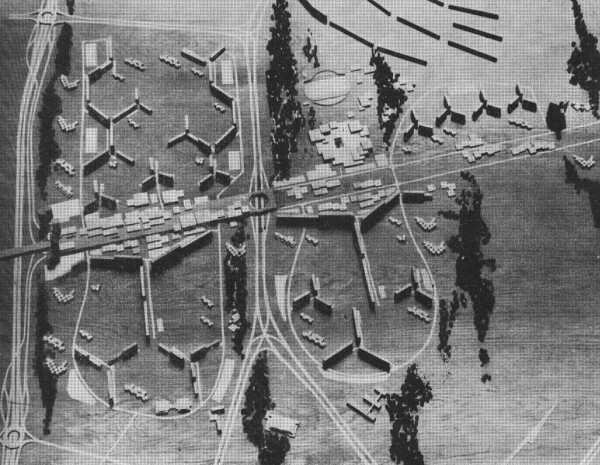 Designed according to the principles of modernistic urban planning, was thought to become a self-sustained machine for living, The settlement was developed on the grounds of a former airfield, which gave architects unlimited spatial options. 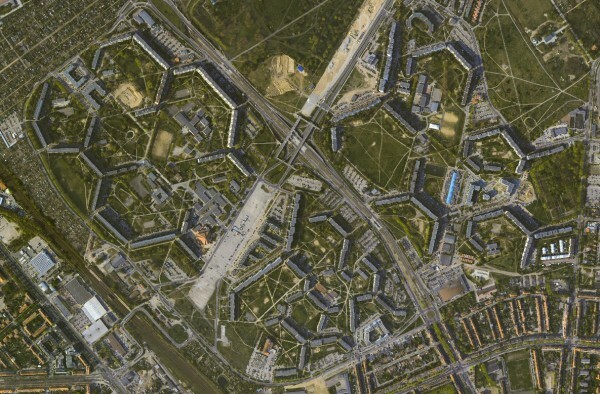 Unfortunately, due to unrealistic goals and the financial crisis of the 1980's, the settlement ended up as yet another concrete desert. Throughout 80's and 90's, Zaspa struggled with social problems typical for such places. In an attempt to address such problems, local activists introduced art into the material and social structure of the neighborhood. The Collection of Monumental Painting is one of the most prominent activities of such. The Collection changed Zaspa by creating the means of identification for its inhabitants and mobilizing them become local guides to the murals and history of the place. 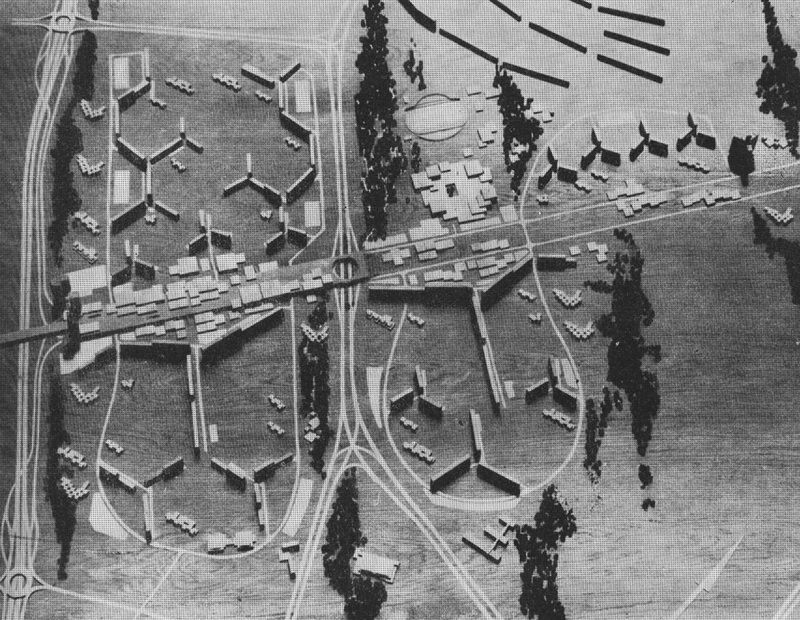 The urban plan of Zaspa | architects: R. Hordyński, S. Grochowski, T. Opic | model: Z. Wiklend.